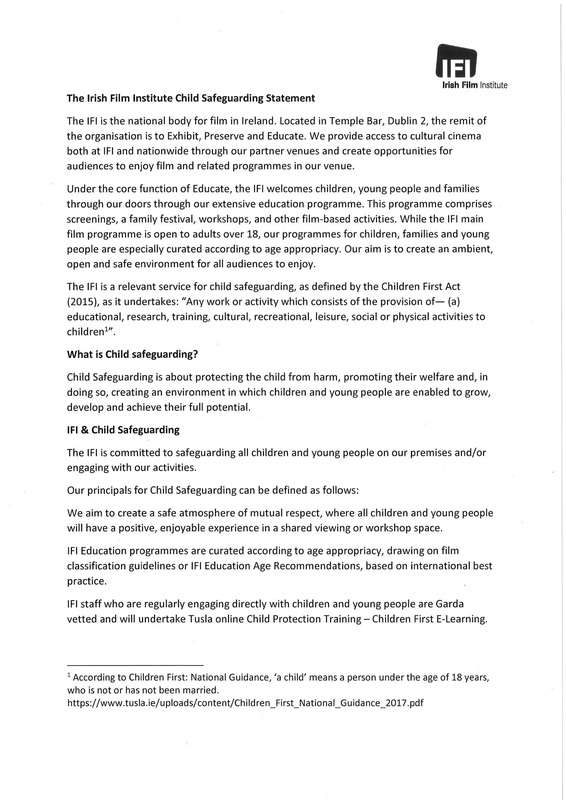 The IFI is committed to safeguarding all children and young people on our premises and/or engaging with our activities. 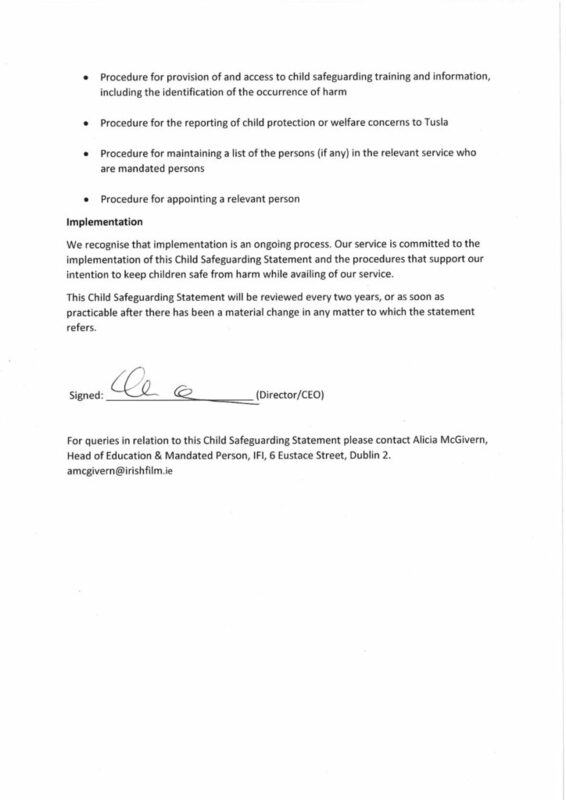 Please see our Children Safeguarding Statement below. 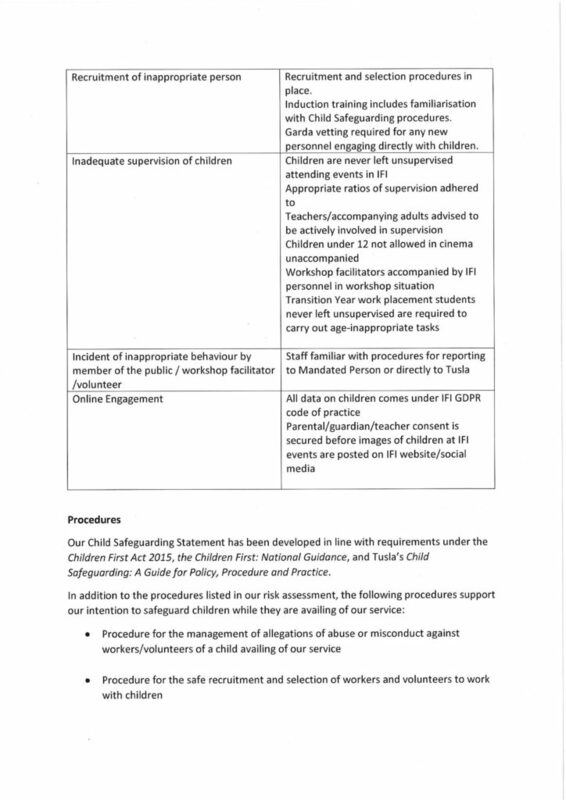 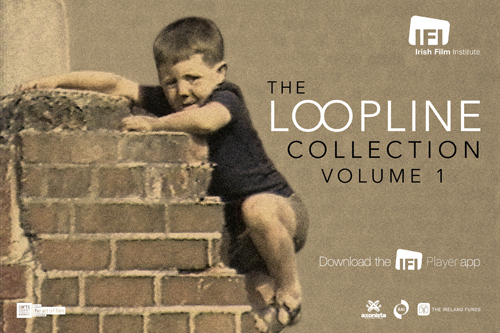 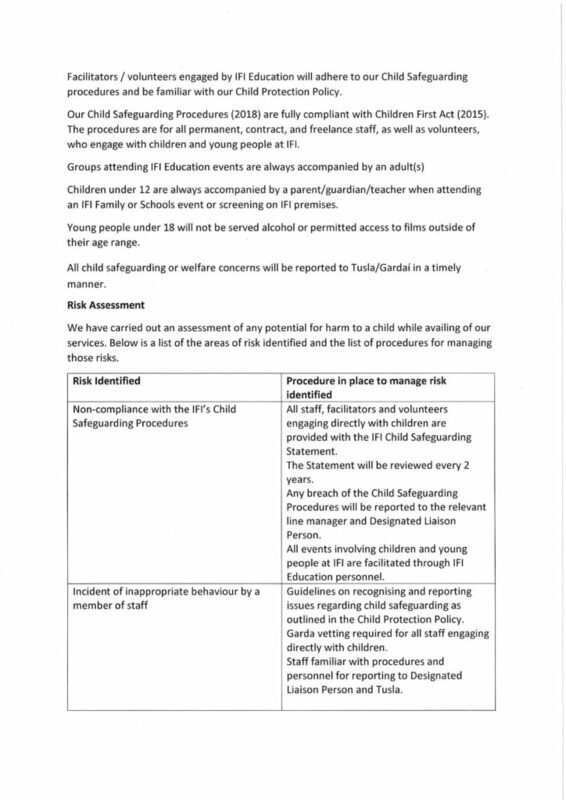 A copy of the IFI Child Safeguarding Statement can also be downloaded here.